It should be that time of year when we start to turn off the central heating, but unfortunately this cold snap means it’s cranked up higher than ever for lots of us. It got me thinking about radiators (of course it did!) and how to make them look more aesthetically pleasing. Decorating your room and creating an interior haven is one thing, but then we go and stick a lovely white, practical radiator in the middle of it and spoil the look. It’s hard to know what to do with them for the best, and how to incorporate them into your scheme. Often this looks good in a more shabby chic, modern country type of style and not always so good for a modern, contemporary decor. But I’ve found a few different choices that could work well in a modern home. I particularly love this last one where the cover has been turned into useful storage as well. Of course you’ve always got to consider the practical side and decide how much heat is going to be absorbed and lost into the cover. It’s not always necessary to hide radiators away from the world, sometimes creating a feature from them can be incredibly dramatic. Think about painting them in different colours, even contrasting colours to the walls, to create an instant feature. As you can see from this last picture it doesn’t have to be that bold, subtle colour can work too! Heating your room and incorporating that device into the room scheme doesn’t have to limit you to radiators of course, you can also go for electric heaters. Particularly good for creating extra warmth just where you need it; electric heaters for Spring time are a very good choice and they are available in lots of different styles to suit your room. I love this modern and contemporary electric heater – how cool is this? And who knew such gorgeous styles were available! As you can see it is possible to incorporate your central heating solutions into your decor, just give it a bit of thought and it will look amazing. There is great choice available isn’t there. My husbands sister, did a developments with heated skirting boards, it was a really cool idea! Ooh that does sound cool! The internet is a great place to source different options isn’t it. Love the red but not sure about the yellow very vibrant! It’s very daring isn’t it?! Personally I think, if you can have one, fireplaces are such a wonderful way of heating your home. They give a beautiful warmth and such a homely feeling! Really great article on central heating. I still have these very boring looking radiators from the 90s, and I’m definitely going to use some of your tips here. The wooden casing is my favorite! Thats quite a neat idea. 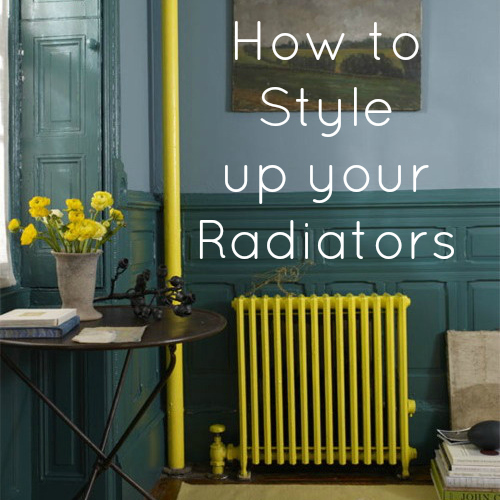 Have you looked at some of these electric radiators? I didn’t know you can get some that look like proper fire places! Makes the home look cozy even though it’s just an electrical and movable machine!